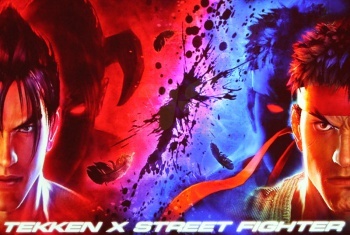 Tekken X Street Fighter will be the Tekken counterpart to 2012's Street Fighter X Tekken. Tekken producer Katsuhiro Harada has assuredSiliconera that Tekken X Street fighter, which is the Tekken-style counterpart to 2012's Street Fighter X Tekken, is still actually in development. About three years ago, Namco and Capcom teamed up to deliver a very special announcement to Tekken and Street Fighter fans: they were working on a crossover. Of course, Tekken and Street Fighter both have very unique fighting systems, so in order to appeal to both fan bases, two separate games were announced: Street Fighter X Tekken and Tekken X Street Fighter. Street Fighter X Tekken, developed by Capcom with a very Street Fighter-style engine, came out last year, but Tekken X Street Fighter seemingly dropped off the map. "We will say first off that the game is still in development, so you don't need to worry about that. There are several reasons why we haven't released any updates. One of the reasons is, Street Fighter X Tekken was released. That still had updates until recently. One interesting thing we've seen with that title when it came out was that it's not quite what we expected," Harada said. "It was not just Tekken fans and Street Fighter fans merging, there seems to be a whole new community growing around that title that wasn't playing either of the titles up until that point." he continued. "That was very unexpected, but quite cool. It's something we want to take care and grow." These comments come despite reports that the game received less-than-expected sales due to cannibalization of its franchises. Harada ended the interview by stating that "We are making progress, but everything is secret so we can't say anything about that." Since the original announcement of Tekken X Street Fighter, five new Tekken titles have been released: Tekken Hybrid, Tekken 3D: Prime Edition, Tekken Tag Tournament 2, Tekken Card Tournament, and Tekken Revolution.